Sorry about the lack of blogs my boat has been out of the water as we were not able to fill a cancellation so I have spent the time doing some improvements and the full pre summer shut down service and up grades. Way over due has been the painting of a full anti skid surface down the entire walk way on both sides of the boat. New pumps, filters, dials and all the little things that have been annoying me have been fixed so she can have a summer off in peace. 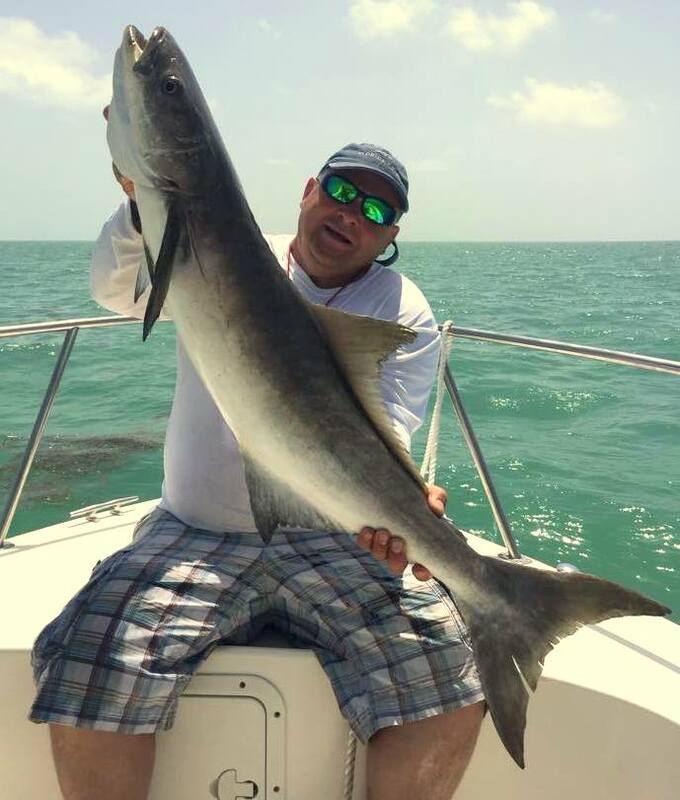 While I have been off Brent Kindell of Coral Charters has been running our Fishing Holidays in the Florida Keys as he has done now for the last few years. 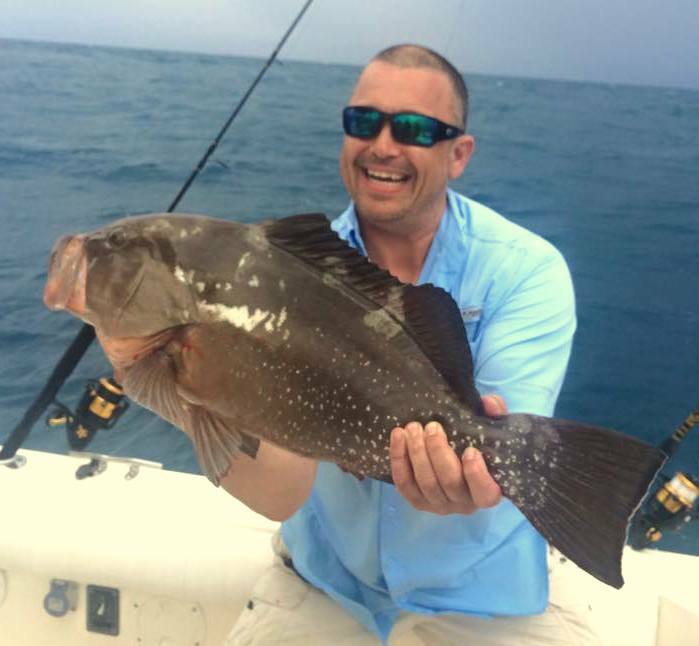 It is good to be able to offer summer fishing in the Keys I know some guys can only get the summer off and after a few days at Disney like to come down to the Keys and cash in the brownie points. 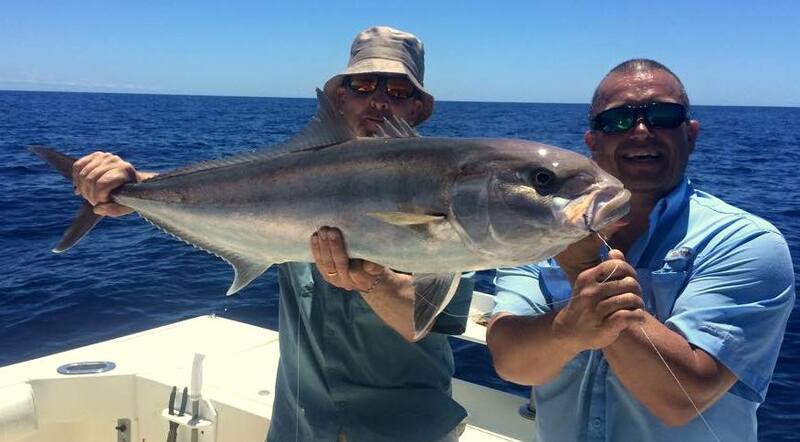 You will still stay in our water side villa where you have good dock side fishing and we are a short drive to local shops, beaches and restaurants. Brent runs the holidays just as we do just tell him what time to start what you want to catch and when you want to come back he will do the rest. 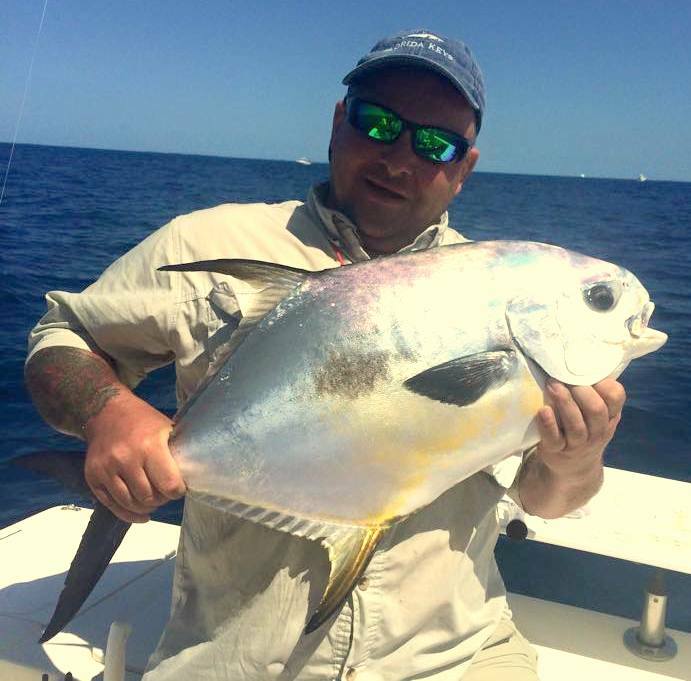 He is a master of the offshore and last weeks guys were well and truly beat up by amberjacks and permit and had some fantastic fishing in the bay. 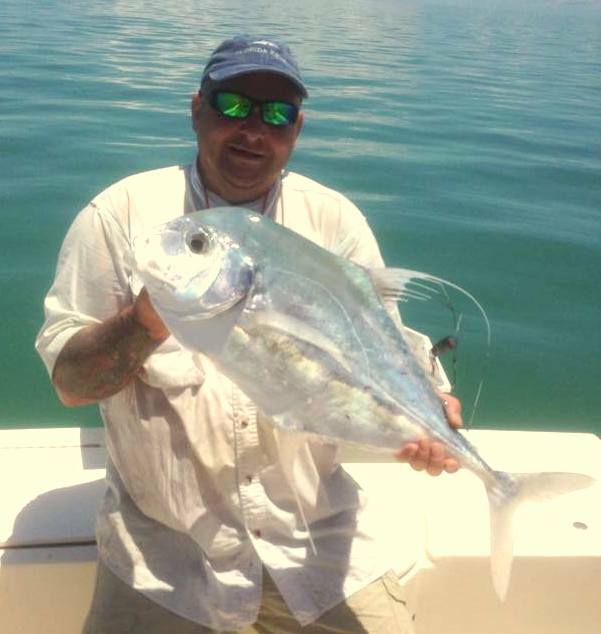 Very cool video with this blog of a tarpon release some time ago just show how strong these fish go back after a fight of nearly an hour to come back next year and do it all again.